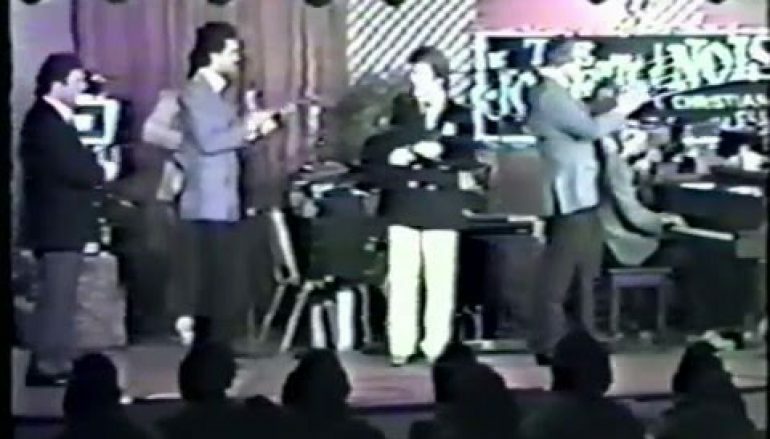 Thanks to Irl Grundy, a full concert video has been posted of Gold City from May of 1984 that includes Benny Blackburn on tenor. Blackburn sang with the group when Brian Free left for a short time to attend college. Although he appeared on several custom recordings between 1983-1984, Blackburn never appeared on a frontline release, as Free returned within a year. Here’s a bit of rare Gold City history…. Interesting, I never knew he took a break. I ran across this concert of The Hemphills from 1988 with Tanya Goodman filling in for Candy! Pretty neat stuff preserved here. Good stuff right here. I love the videos out of the archives. On a side note, I thought Benny looked familiar. I figured out that I used to have a album by the Harvesters Quartet when he was singing with them. So that explained it. Another thing that stuck out to me in this video was the fact that they had a 5 member band. So great! Talk about the good ole days!